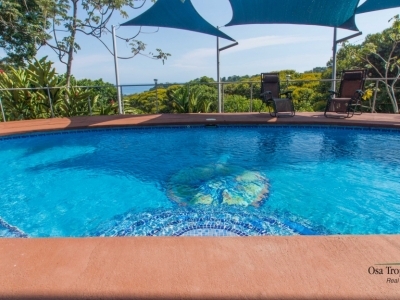 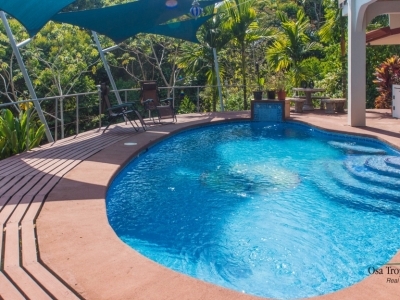 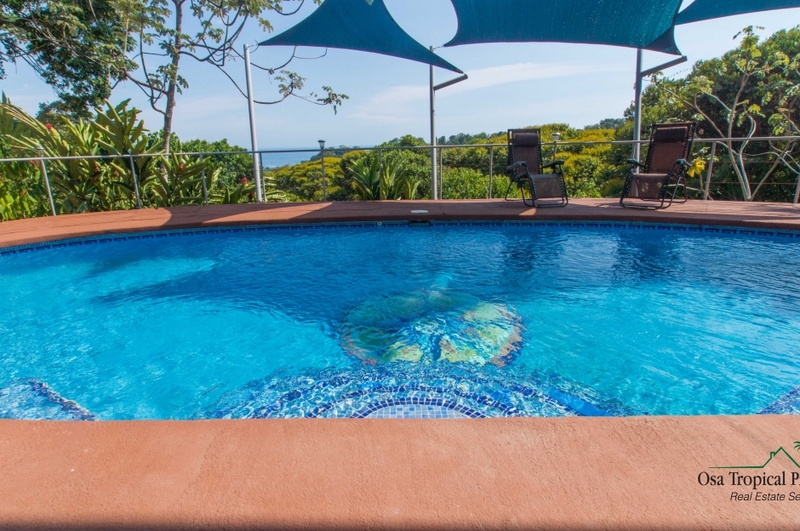 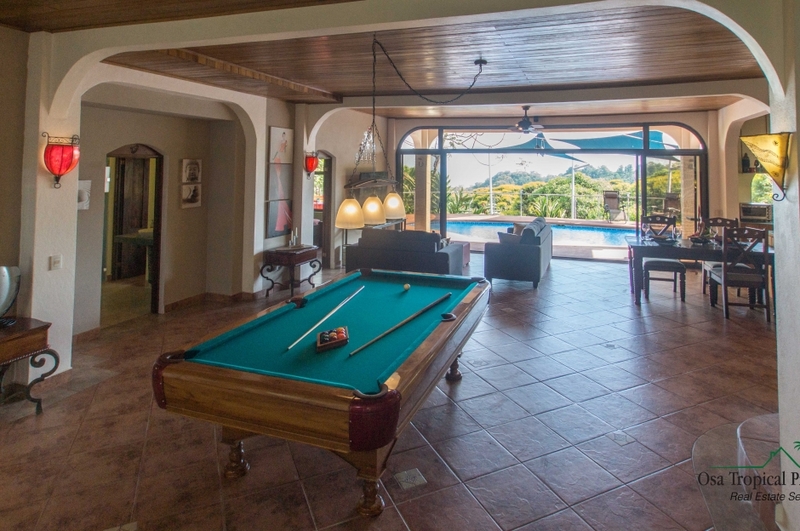 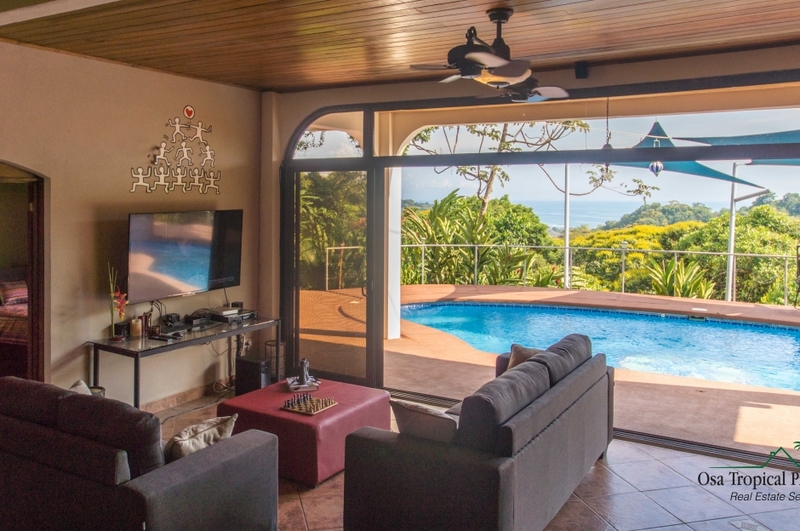 9.67 ACRES – 4 Bedroom Ocean View Home With Pool And Waterfall!!! 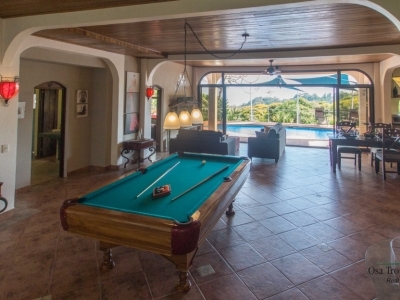 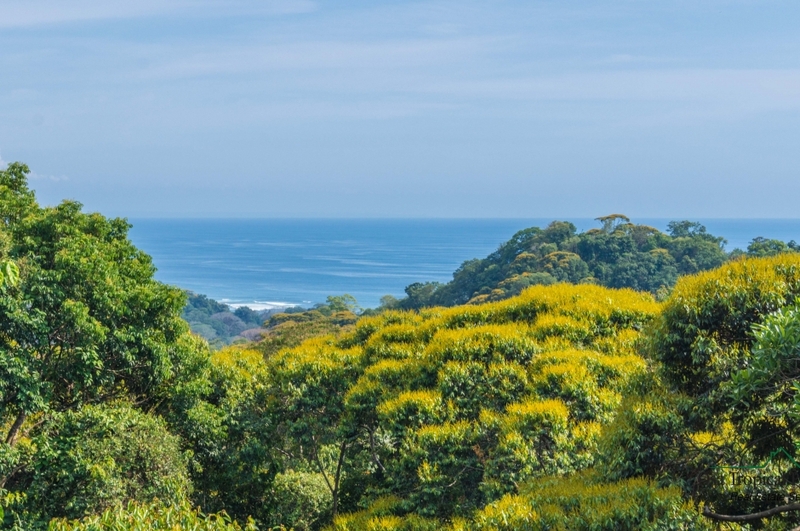 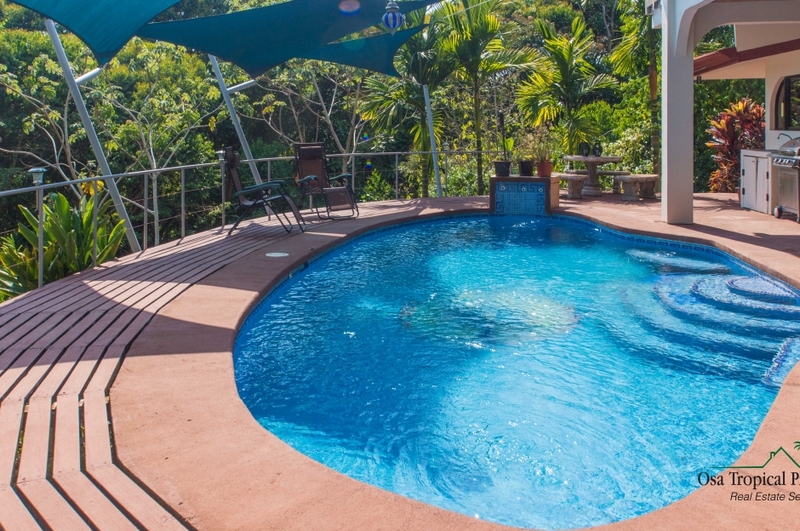 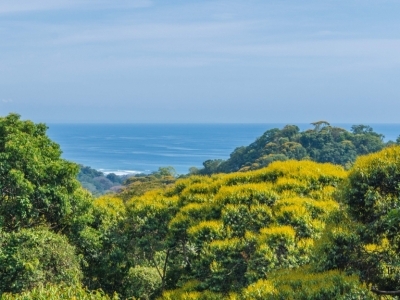 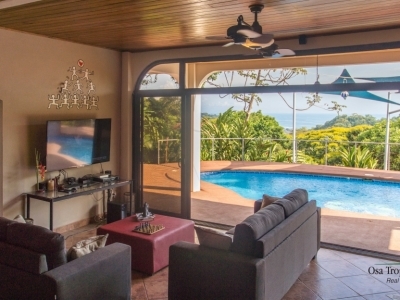 Nestled in a lush jungle forest reserve near the core of Dominical, this private mountain top retreat has breathtaking views of the dynamic coastal region that lines this sleepy South Pacific region of Costa Rica. 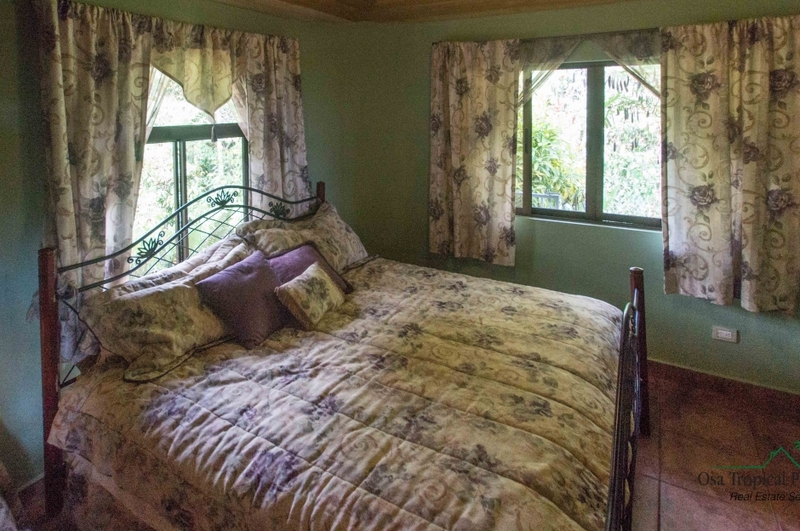 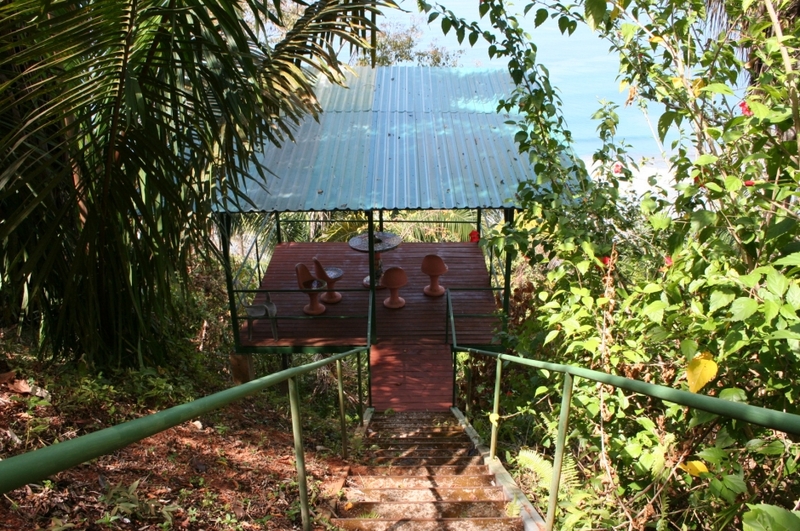 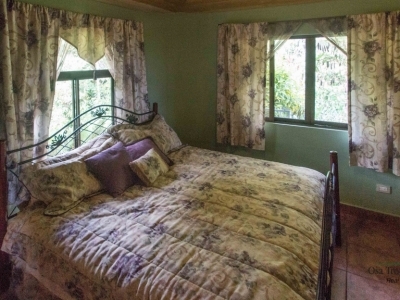 10 acres of primary rainforest reserve surrounds the property, and wildlife is prevalent due to being protected by the thick jungle canopy, below which have been carved incredible walking paths. 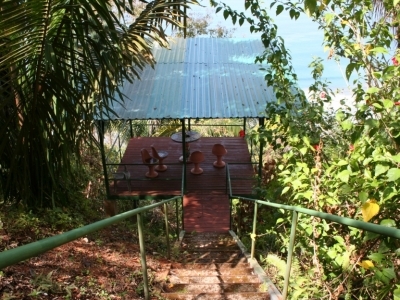 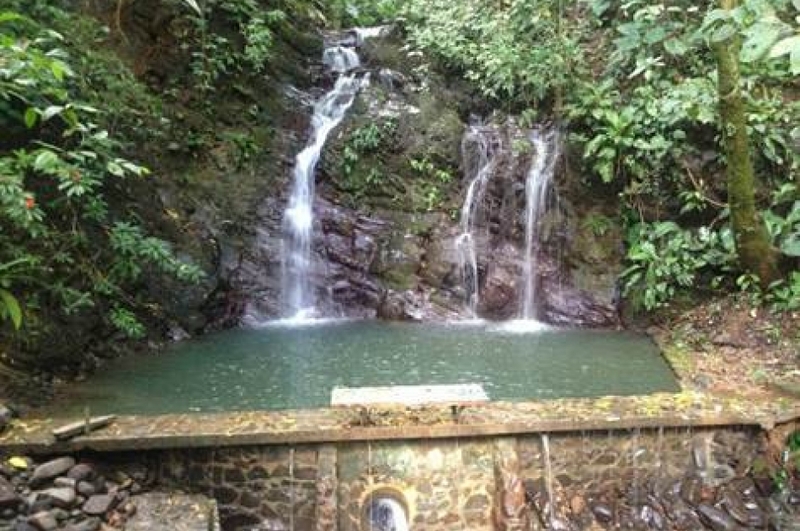 You will see and hear monkeys, tropical and migratory birds, and so much more. 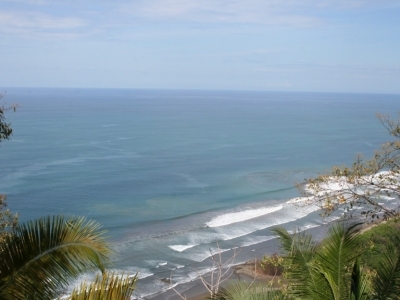 This is nature’s playground at your doorstep. 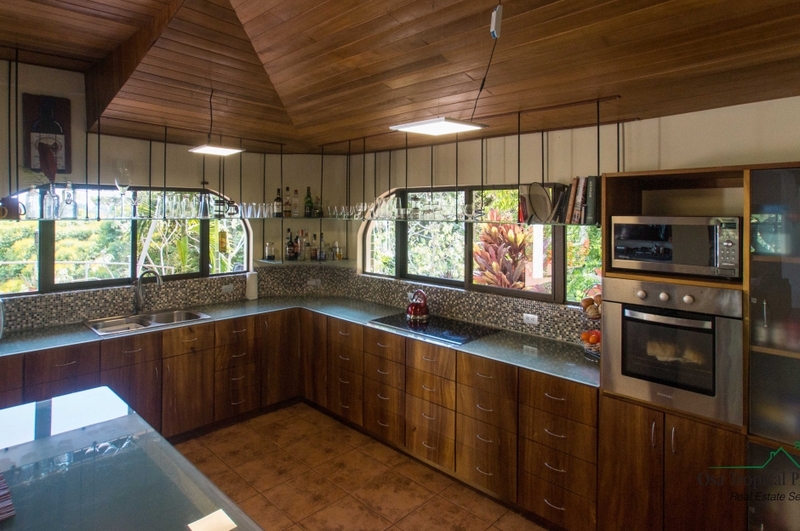 A fantastically functional kitchen is adjacent to the living space, with ample tempered glass countertops, gorgeous mosaic tile backsplash, and plentiful glass shelving lining the entire square space, making for a quick and convenient reach to your most used kitchen items. 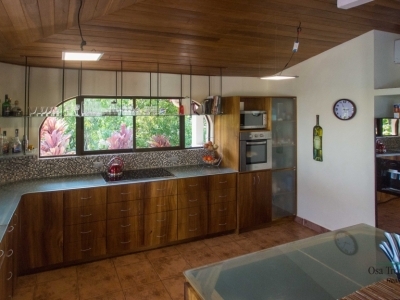 All of the appliances are top of the line, stainless steel. 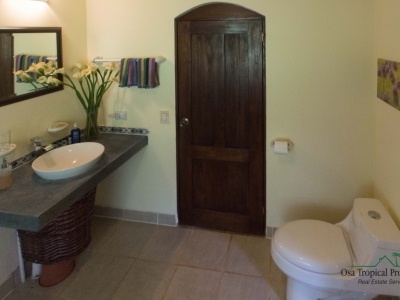 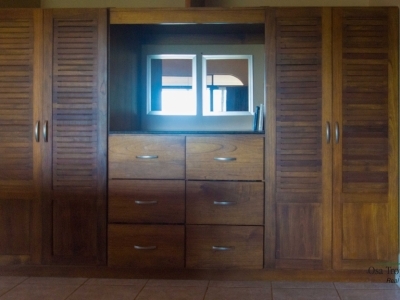 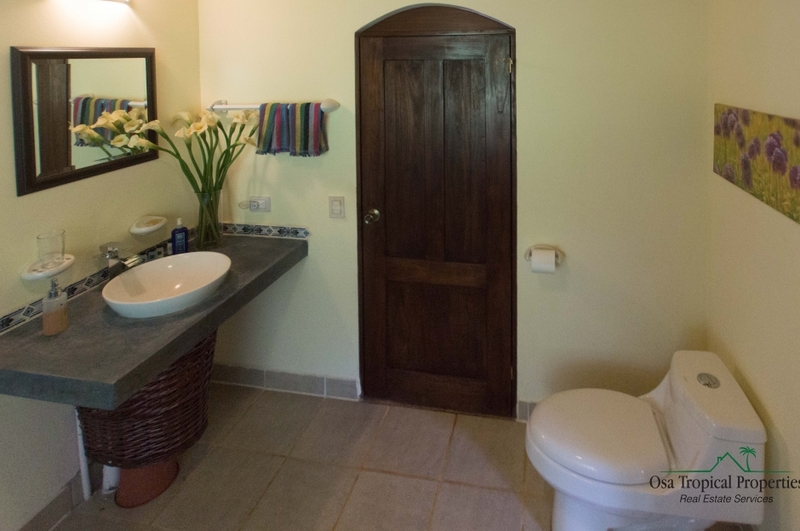 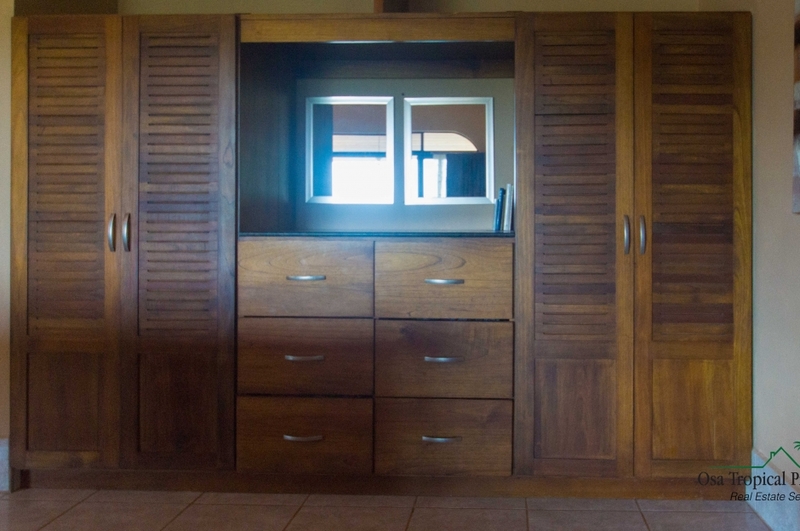 The cupboards are made with locally-sourced handmade solid Guanacaste wood, opening and closing smoothly along seamless rollers which are a pleasure to use and abundantly plentiful. 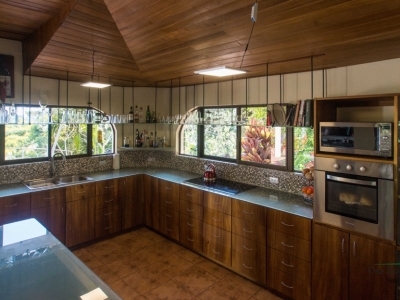 Looking out your kitchen window while making your loved ones a meal will be a pleasure that will fill you with the spice of life. 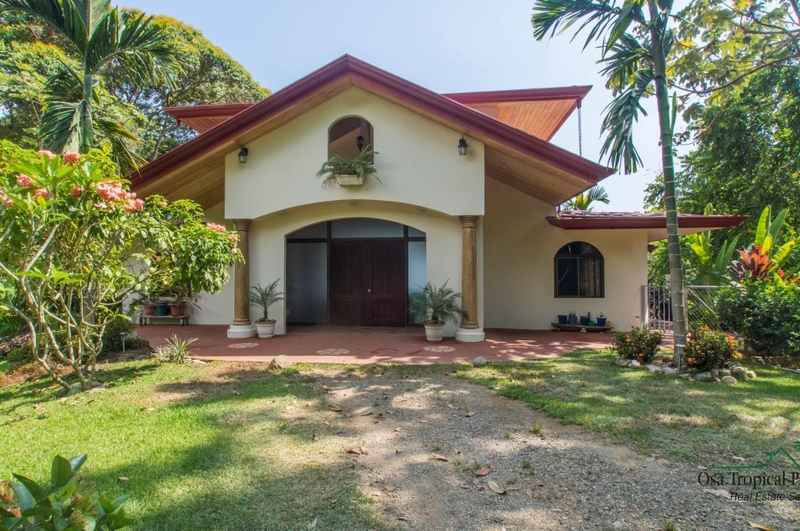 Additionally, the fertile land that surrounds this home will provide you the opportunity to grow your own fresh foods, herbs, and spices, making for an easy reach to the most nutritious lifestyle. 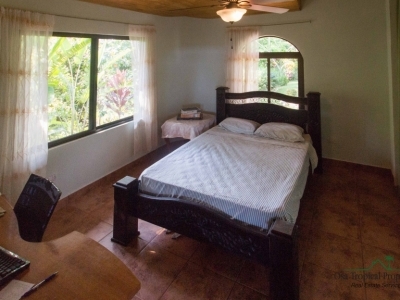 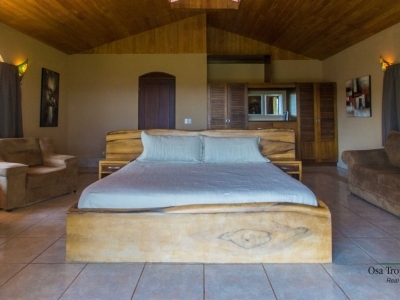 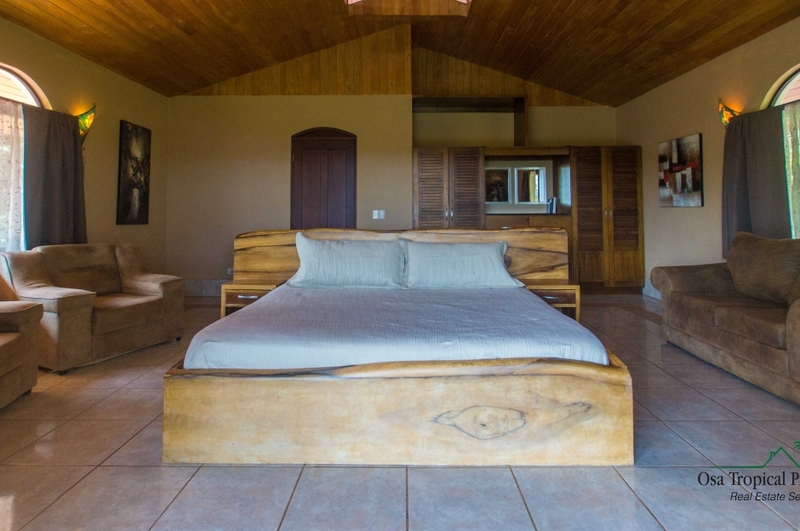 The master suite has a resplendent handmade solid Guanacaste wood bed frame that inspires awe from all those who see it and makes for a sumptuous sleep. 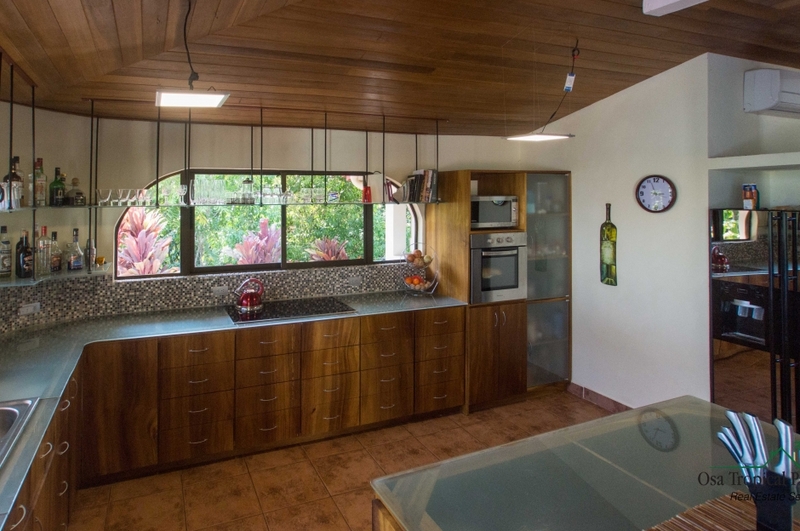 The laurel wood ceilings, which are found throughout the residence and are in immaculate condition, offer 9.5ft of clearance at their lowest point, bringing more openness to the already spacious room size. 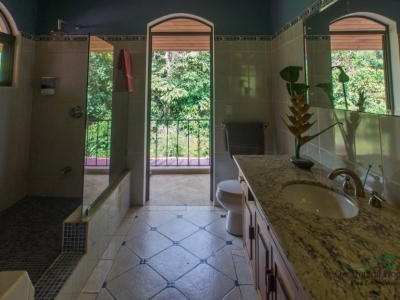 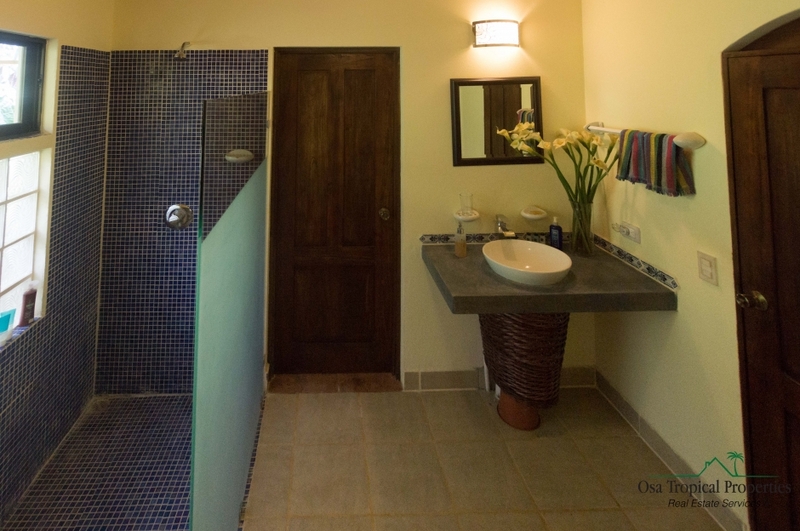 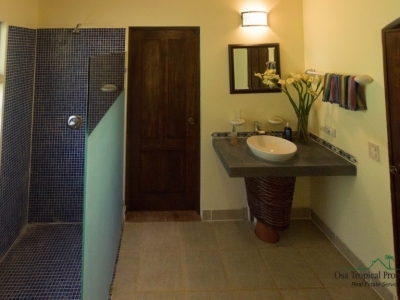 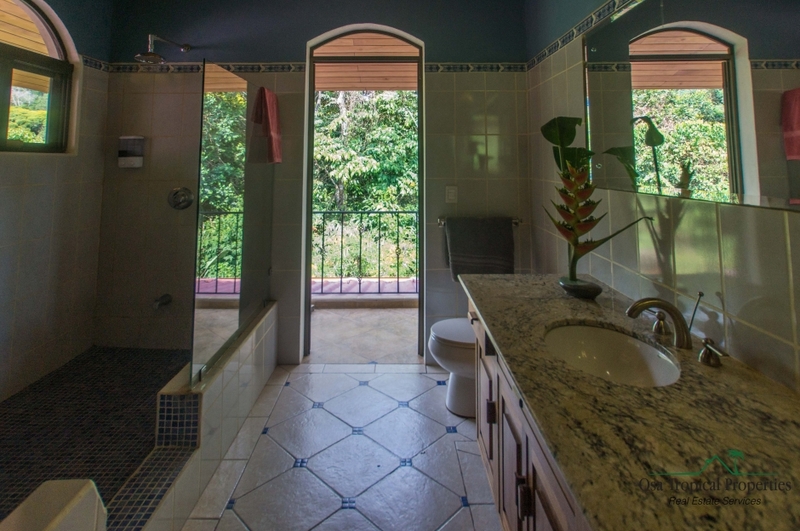 The ensuite bathroom with couples’ sinks and waterfall shower are a richly rewarding way to begin and end your day. 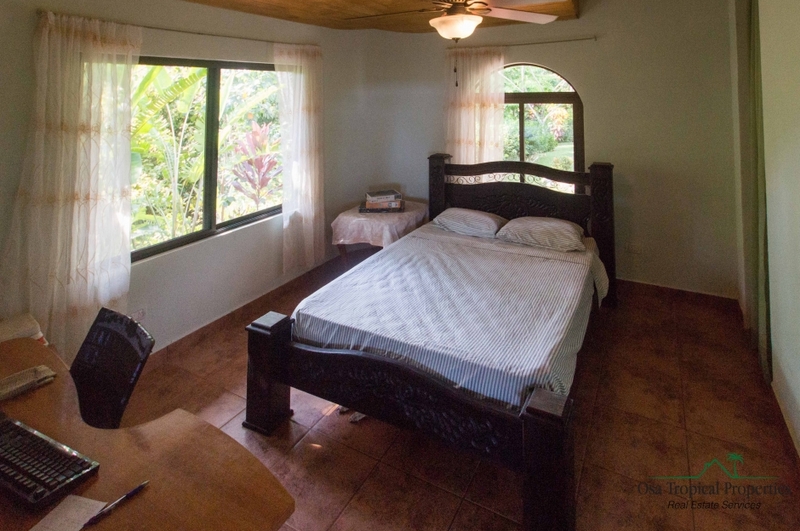 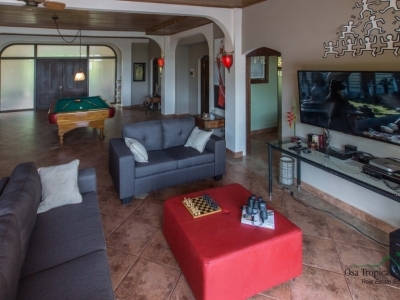 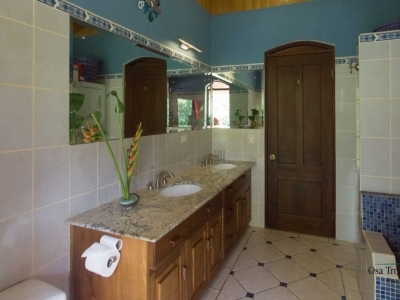 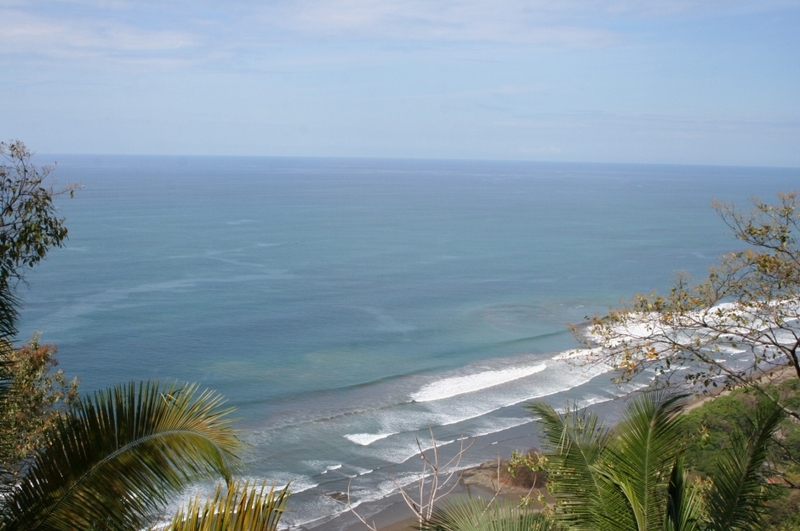 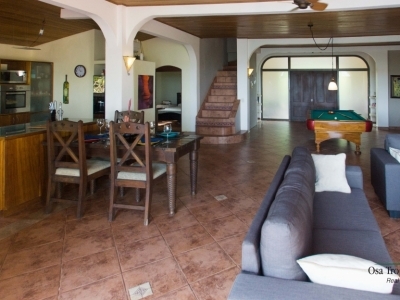 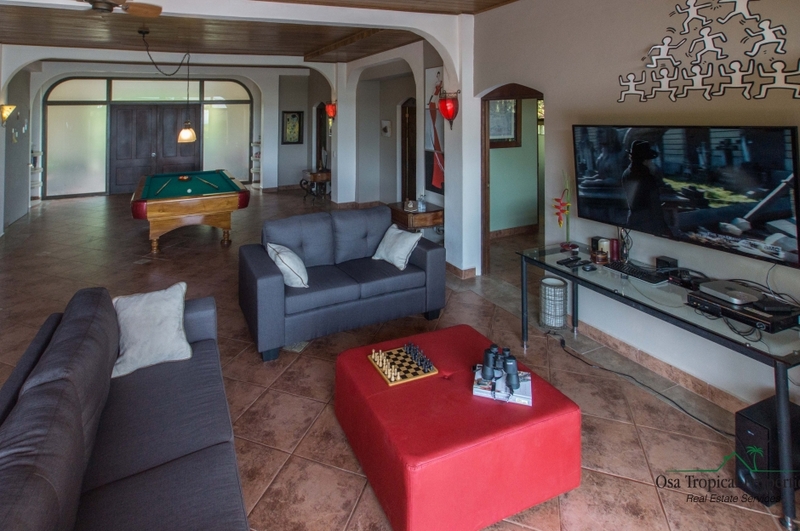 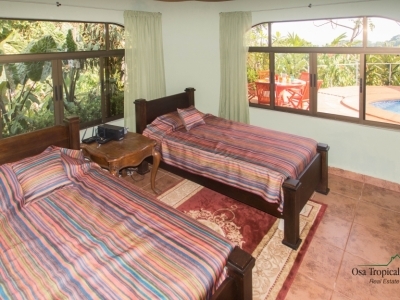 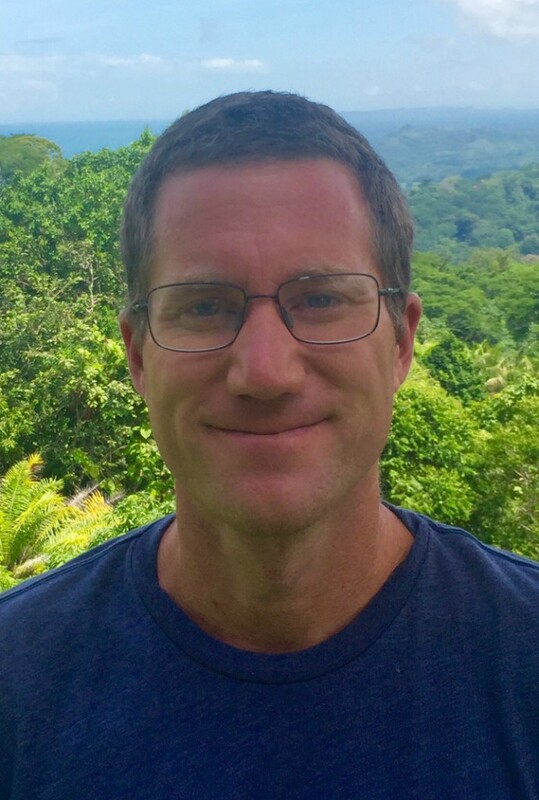 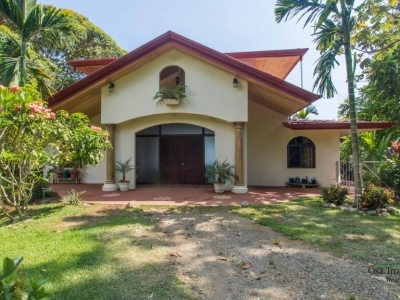 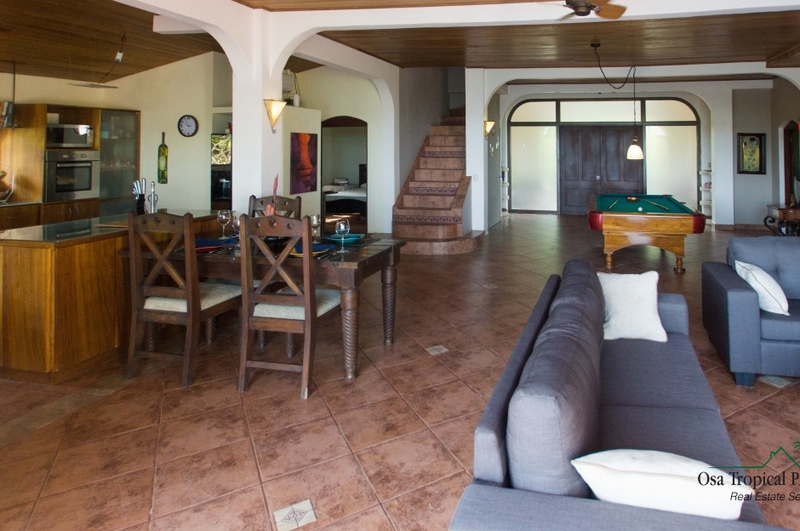 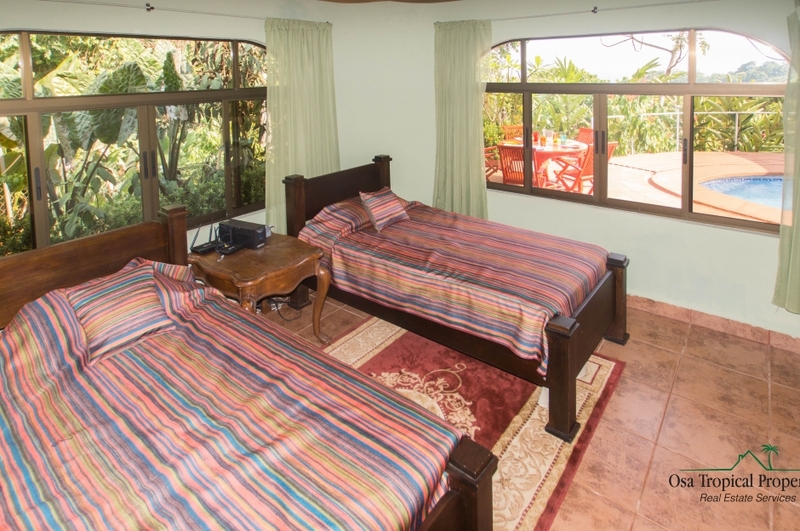 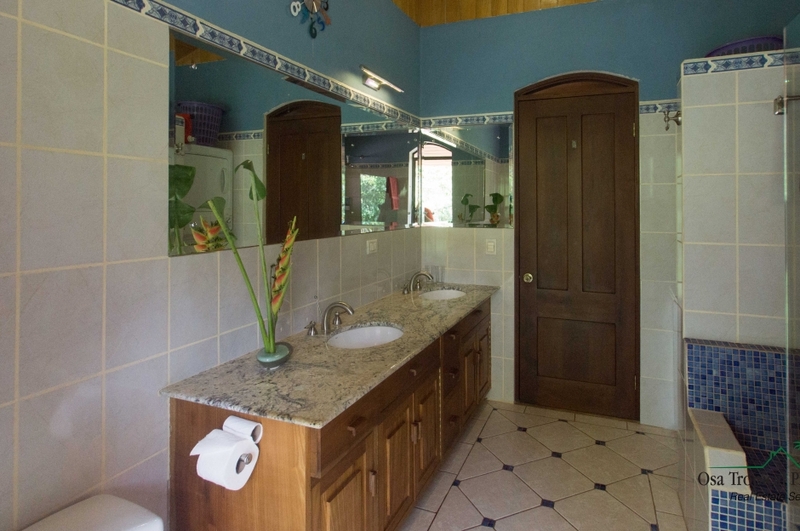 Located a short 5 minute drive from the center of Dominical, you will find all of the amenities you need nearby, including gourmet markets, fresh, delicious restaurants of all styles, grocery shopping, medical centers, schools, spas, and more, as well as one of the best beaches for surfing in the country! 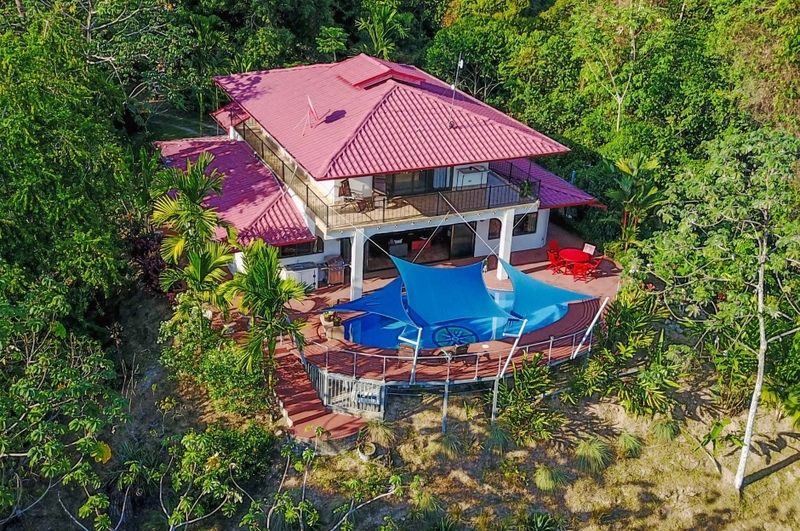 Even with its close proximity to these many conveniences and maintained access straight to the property, this 4000 sq ft home on 10 acres of reserve forest property is situated in the coastal the mountains, making it feel quiet and private. 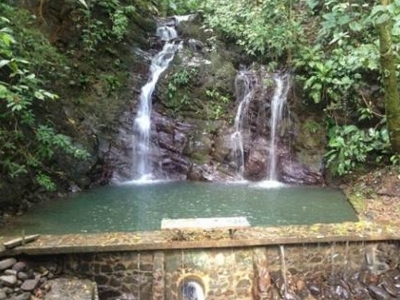 The invigorating private walking trails on the property will take you to a nearby secluded waterfall pool for those seeking a place of peaceful reflection, as well as the most wonderful sounds to fall asleep to every night.